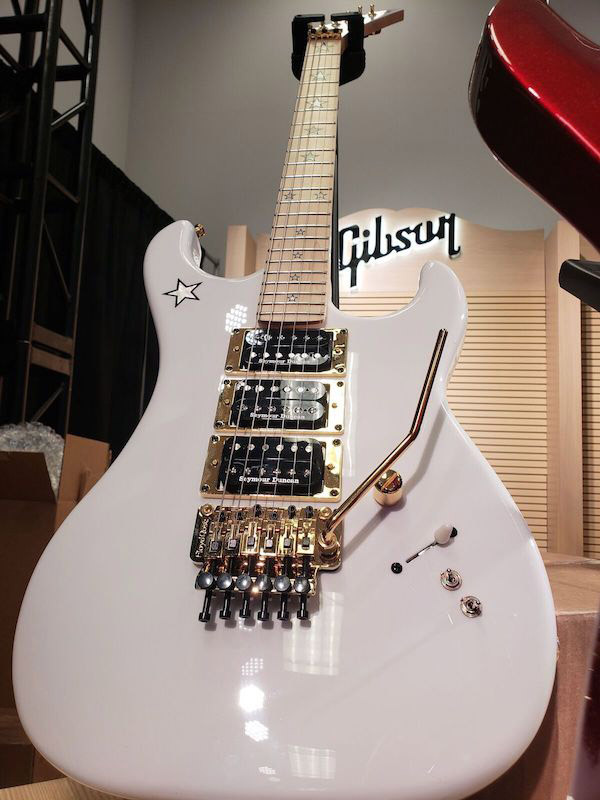 The legend This week at NAMM 2019 Gibson Brands and Epiphone proudly reintroduce the Kramer Guitar, the legendary maverick that turned the rock world upside down in the 1980s offering hard rock and metal players howling pickups, Floyd Rose bridge and tailpieces for unbreakable intonation, and loud color finishes that made all the other brands look slightly tired and old fashioned. Kramer will be releasing new styles and old favorites—and all of-of them featuring light tonewoods, new colors, and the same hot Seymour Duncan™ pickups and Floyd Rose™ hardware that made the players around the world sit up and take notice. If you’re at NAMM this year, come visit us in Room 207 and see what’s coming to an Authorized Dealer near you in 2019. And if you can’t make NAMM, check out our feature on the first round of new Kramers including a link to download the beautiful new brochure. Get ready to get loud and keep your web dial on KramerGuitars.com for more info.